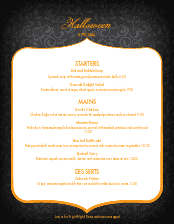 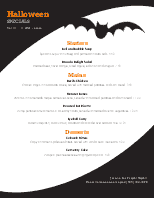 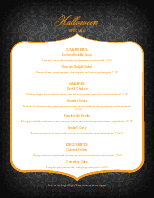 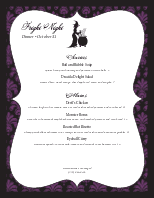 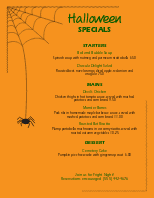 Showcase your Halloween specials, promotions, bar drinks, or event details with the Halloween Dinner Menu template. Menu details are backdropped by a beautiful black pattern and bordered by a quirky orange design. Edit this template with the online Menu Maker.